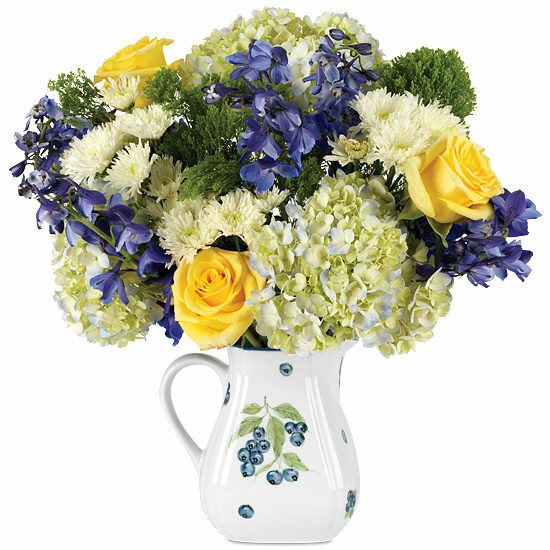 While this cheerful bouquet is inspired by the old-fashioned dessert, blueberries and sweet cream, we believe it’s best described by one word: fresh. 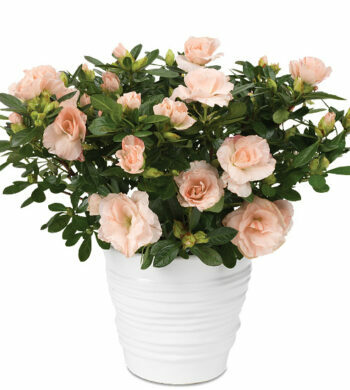 With a rise-and-shine mix of yellows and blues, it has the distinctive ability to make any occasion more joyful. 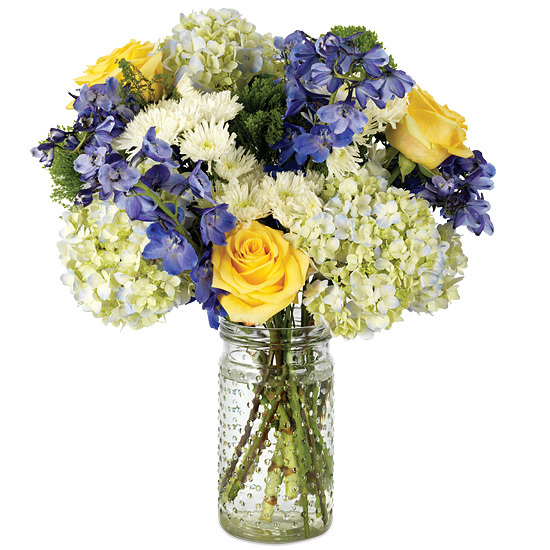 Full bouquet is bursting with High and Yellow roses, blue hydrangeas, Euroblue delphiniums, Jade trachelium, White Sizzle chrysanthemums. Displayed in our blueberry motif ceramic pitcher for some added charm.